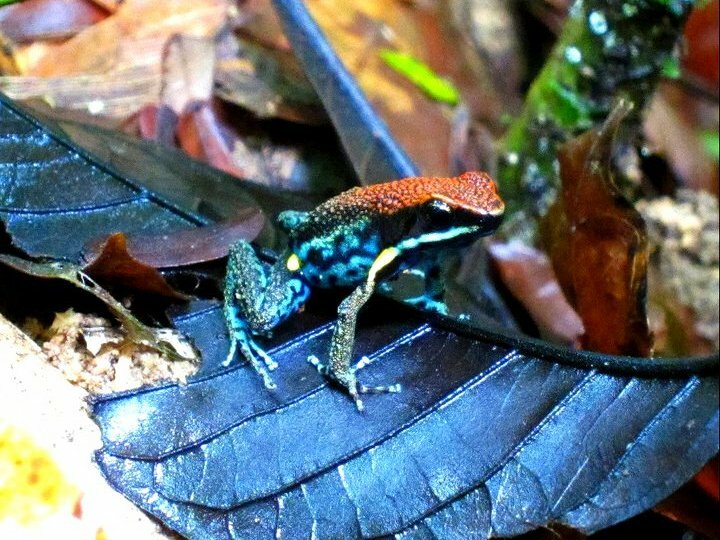 Poison Dart Frog, spotted near the Tiputini research outpost in the Amazon rain forest. This will be a short entry since I'm paying for internet, but I think it's best to update you guys on what a great time I'm having in New Zealand! Yes, I'm in New Zealand on my mid-semester break, here for one week. And yes, it's incredible. I (probably) won't have pictures posted until I get free internet, but check back in a few days, because I've got some GREAT pictures! Although they don't do justice to the beauty of this place. My whole trip is on the South Island, I don't have time to head up to the North Island. My time is too short here as it is. I stayed my first night in Christchurch, but left the next morning and spent the next day and a half hitching my way to Queenstown, the "Adventure Capital of the World." This is where all the bungeeing, skydiving, snowboarding, anything extreme happens. Anyway, it's a gorgeous little tourist town on a gorgeous glacial lake with a gorgeous backdrop of dramatic, craggy mountains. My first day, I took the gondola up the hillside for a great view of the whole area. Breathtaking. However, "breathtaking" took on a whole new meaning yesterday, when I took a day trip to Milford Sound. The 4-hour bus ride took me through incredible landscapes that had me snapping pictures out the window the whole time. But once we actually got to the Sound (which is actually not a sound, but a fjord), I don't think my lens was ever closed! For the 2 hour cruise up and down the Sound, I couldn't look up without feeling like the view in front of me must be the most spectacular view in the world. Thank God for a spare camera battery and 2 GB card! Actually no, thank G&G for those! :) Perfect Christmas gifts! 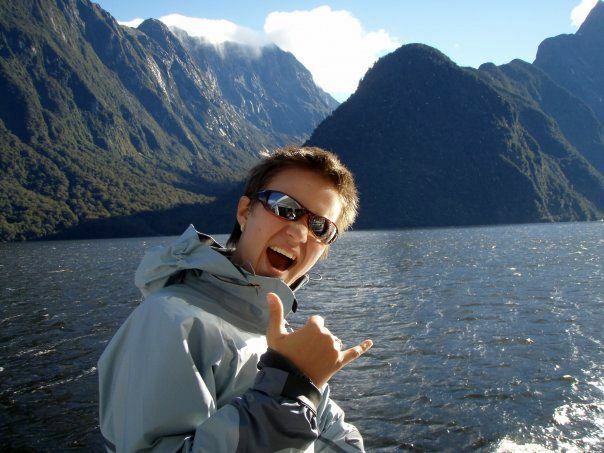 Me on the cruise through Milford Sound... absolutely gorgeous scenery all around!